Episcopal Church Rejects Measure to Divest From Israel - Breaking Israel News | Latest News. Biblical Perspective. The Episcopal Church rejected a measure to divest from Israel at its General Convention this week. The measure, titled “Ending Church Complicity in the Occupation,” was initially approved by the House of Deputies in the church, one of the legislative houses of the bicameral General Convention, but was later rejected by the House of Bishops during its triennial convention in Austin, Texas. “Divestment will not move us one inch forward in the peace process. It will not bring an end to the occupation. It will not lead us to the solution that we all yearn for, which is two states living side by side in peace within secure borders,” said retired Bishop Ed Little of the Diocese of Northern Indiana, who was one of six bishops to speak against the resolution before the vote, the Episcopal News Service reported. While the Episcopalians stopped short of the divestment measure, other five other resolutions critical of Israel were passed by the House of Deputies on Thursday that relate “to treatment of Palestinian children, Israel’s use of lethal force against unarmed Palestinians, the system of apartheid between Israelis and Palestinians, Israeli laws that deprive Palestinians of civil rights, and the ability of U.S. companies to boycott Israel in protest of its occupation of the Palestinian territories,” according to the Episcopal News Service. However, those resolutions faced a mixed reaction in the House of Bishops; it remains uncertain if they will pass. The American Jewish Committee commended the Episcopalians in their decision. The move by the Episcopalians to reject divestment comes just weeks after the Presbyterian Church USA passed several anti-Israel resolutions, while also expressing support for the BDS movement at its General Assembly in St. Louis. 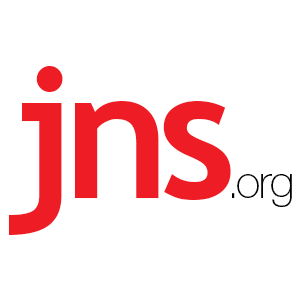 JNS.org is an independent, non-profit, business resource and wire service covering Jewish news and Israel news for Jewish media throughout the English-speaking world.